Excessive Crying in a Breastfeeding Baby: What is Normal? 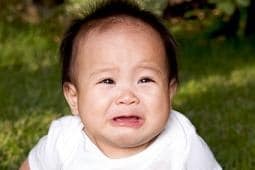 Should you be concerned about your baby’s excessive crying? Here is help knowing if it is normal or when you should call your doctor about your baby’s fussiness. All babies get fussy from time to time. There are certain periods of the day that it is normal for your baby to be fussy. When he is hungry or tired mainly. When he is wet, he just cries and you know something is wrong. 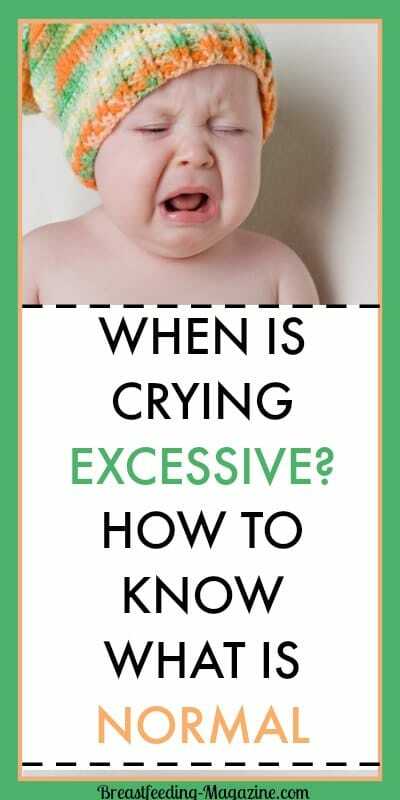 But if your baby is fussy and his excessive crying lasts for long drawn out periods of time, this is not normal and something else may be going on. Does he have diaper rash, gas, or other problem? Gas can cause stomach pain in our little ones and that is why we burp them after feeding them. Make sure not to skip this step. At night just before bedtime is usually the longest fussy time. Often this can be from overly being tired. You may change around bedtime and make it a bit earlier to see if that calms him down. Sometimes in our struggle to satisfy our baby’s fussiness, we can make it worse by overfeeding them. Too much breast tmilk can cause stomach discomfort and more fussiness. So be careful not to overfeed your baby. Babies can have colic. Colic cannot be prevented and usually lasts from 3 weeks of age to 3 months (but some babies, like me, have colic that lasts much longer. If the fussiness continues, you may have your baby checked for an allergy to milk. Most of the time, if you are breastfeeding, this is not the case. Very few babies are allergic to their own mother’s milk…and if they were…you would know it almost immediately after birth! If your baby is experiencing uncontrollable type fussiness that seem to last most of the day, call your doctor or go to the emergency room and him checked out. He could have some infection or abominable problem that needs to be addresses. If the baby is fussing and has a fever, do not wait to have him checked out. Just remember that parenthood is a wonderful adventure with many things to explore with our babies. So let’s help them through their fussiness so that we can get back to having fun with them. Even adults have their fussy moments, so why should the babies be any different? Tips for Soothing a Fussy Baby–Learn tricks and tips to calm your baby.